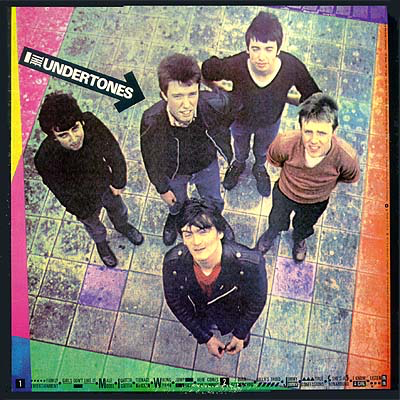 I was slightly harsh on The Undertones when reviewing "True Confessions (Singles A's & B's)", dismissing The Undertones as naive youths playing in the big boys' world of punk and being totally unconvincing. Some of that still stands. They were certainly not credible in the punk rock authenticity stakes, however, listening their debut album again, I have to admit to enjoying it quite a lot. 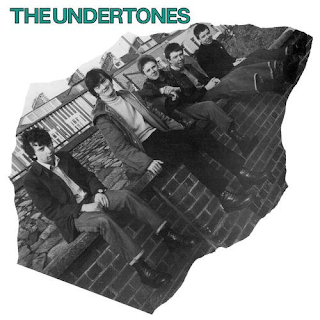 At the time I had no time for The Undertones, despite liking "Teenage Kicks" as everyone did. I felt they were drippy, pallid youths who had no place in the aggressive, snarling punk scene. This album, although somewhat late in the chronology of punk was a good one. It drips with youthful vitality, and this 2016 remaster has a crystal clear guitar sound, pounding drums and a lovely, deep rumbling bass sound. There is one great track after the other at the start - the cynical, wryly witty romp of "Family Entertainment", the wonderful thump of "Girls Don't Like It", the witty "Male Model", the Ramones-like "I Gotta Getta" and, of course the glory of "Teenage Kicks". (Actually, if you want the original track listing, go for the "30th Anniversary Edition", which doesn't have "Teenage Kicks" included in the album, as it wasn't. It is included at the end. The sound seems to be not any different to the 2016 remaster anyway, just as good). The two other singles, the catchy "Here Comes The Summer" and the riffy "Jimmy Jimmy" are great too and "Jump Boys" even has a convincing bass solo. "True Confessions" is almost Magazine-like in its post-punkery. "Get Over You" is a glorious slice of rousing fun, possibly my favourite on the album. "(She's A ) Runaround" is another piece of breakneck pleasure too. All very enjoyable. Much, much better than the singles compilation, probably due to the lack of the irritatingly short tracks they used to issue as "b" sides (47 seconds was one of the worst offenders). An impressive debut album, but, by May 1979, a bit out of time.